This Lakeland stone detached Cottage is surrounded by its own private woodland and mature gardens with views of Lake Windermere and Gummers Howe beyond. Lakeside cottage comfortably sleeps ten people and is the perfect retreat from the hustle and bustle of everyday life. If you need a bit more fun and excitement the Lakeside Steamer with routes to Bowness and Ambleside is only a short 300m walk away. When you return why not have a lovely glass of wine at The Lakeside hotels bar/bistro which is open to non residents. Cartmel Race Course is 15minutes away by car with regular race meetings throughout the year, it also boasts a Michelin Star restaurant L’Enclume. Whatever your needs maybe, peace, tranquillity, award winning local pubs/restaurants, including unlimited free access to the Cascade Leisure facility at the White Water Hotel, or even all three, Lakeside Cottage delivers. IT`s ALL about the kids! Lakeside Cottage boasts swings and an all year round play area where you can watch them have fun and let off steam, nearby Fellfoot a National Trust Park, Lakeside Motor Museum, Lakeside Aquarium , there is even Dalton Zoo some 25 minute drive away. For the walkers and explorers amongst you High Dam is within walking distance in Finsthwaite. 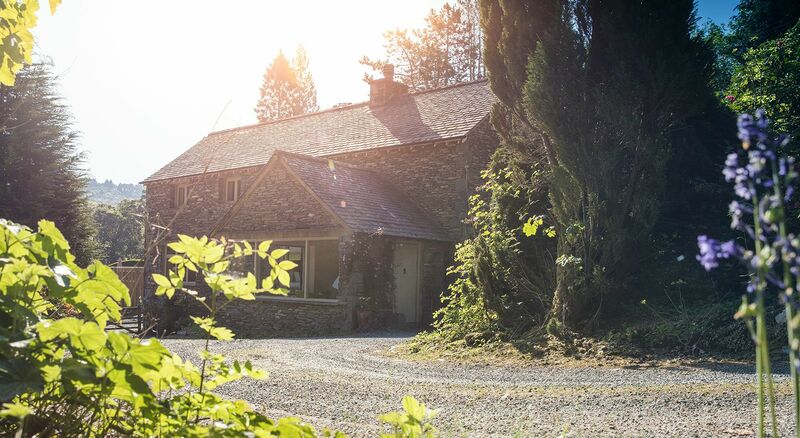 There are many paths up to the summit of Gummers How to take in the breathtaking beauty of Lake Windermere and upon your return why not relax in the large family lounge and unwind with a glass of wine in front of the roaring log burner. The Grizedale forest is a short drive away for walking, mountain biking plus there is even a Go Ape centre there! Let your imagination run riot because you will not be disappointed with your stay at Lakeside Cottage.